Patient nicknamed Argentine, is an Argentina based Caucasian patient. 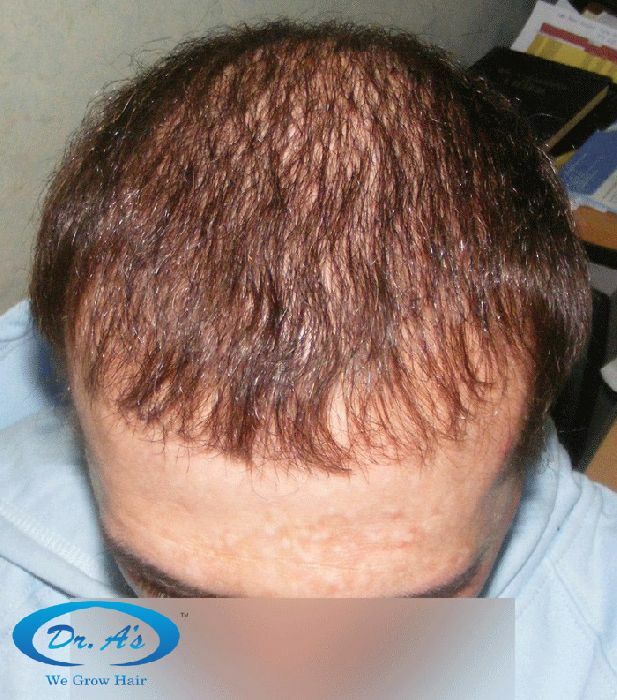 A NW 6, with previous 2 strip surgeries in S. America that left him with wide scars and scanty growth of the transplanted hair before he visited us. 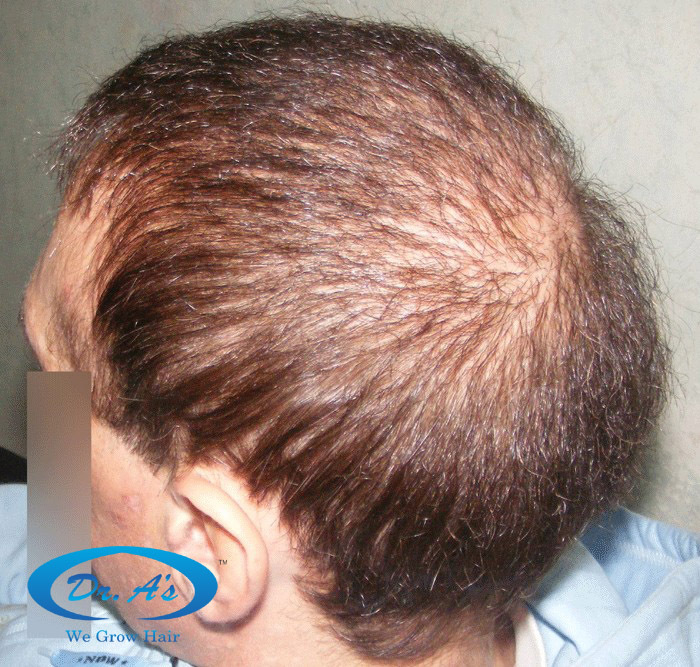 8 months ago, we performed a repair procedure involving FUSE grafts from scalp, beard and body donor areas. He is happy with the progress. Broken links for the above images replaced by HairSite Admin with the following provided by Dr. Arvind’s clinic - below is added Sep 22, 2016. Congratulations to Dr.A and more importantly to this patient. My guess is at a young age he decided to undergo the knife out of desperation with lack of knowledge or understanding of good/bad transplant surgeon. This sounds exactly like me…Every day I look in the mirror I am thankful for Dr. A’s re-work. Also Dr. A, growth is just starting for me, can’t wait for the final results!!! I shall request him for the pictures of the strip scars too. Do you have close up pictures of his beard donor area? great result,continuing to push back the envelope but…why no crown swirl and no real angulation of recipient grafts. I think there is an answer but I would like to hear it from Dr. A. » I would like to hear it from Dr. A.
I do not know why you feel there is an absence of swirl and angulations. As you can see in the immediate post op picture of graft placement on the initial thread, you can easily make out the angulations and directions. Of course, in Argentine’s case, almost 60% of the grafts are the thick calibre beard hair. They will not behave identical to the way the finer calibre scalp hair would. I think that is what you are reffering to. I am not too sure about this one, I would expect to see something more dramatic after 11,000 grafts. Damraak, keep in mind it’s body hair. » » I would like to hear it from Dr. A. » dramatic after 11,000 grafts. Its only 8 months post HT. We expect further improvement in the coming 2 to 4 months. He is an advanced NW 6 level baldness. Almost 300 sq cms of recipient area covered. 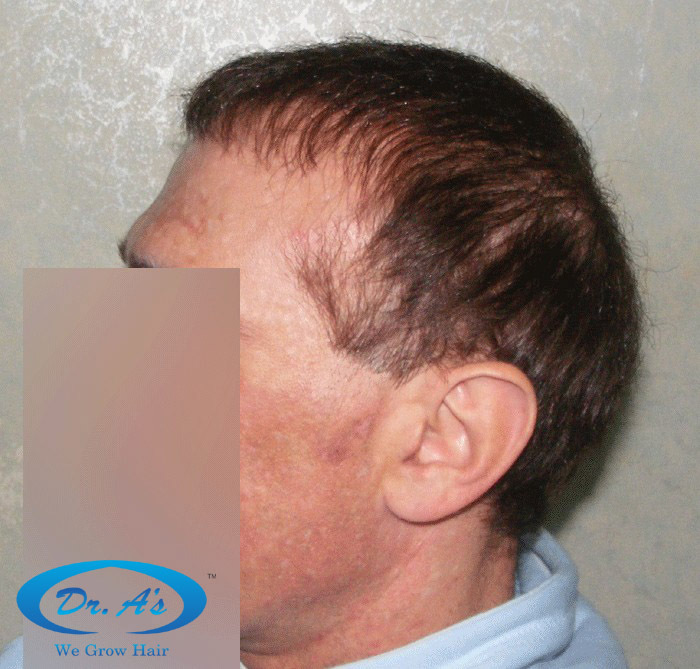 For perspective, a non balding average person has 40,000 to 45,000 follicular unit grafts. A NW 6 has lost nature given 25,000 grafts atleast. As correctly pointed out, the majority of the grafts are beard and body hair (not scalp). Slightly over 1000 grafts (out of the total) were transplanted into the strip scars from Argentine’s past surgeries. » Do you have close up pictures of his beard donor area? Argentine said there were no visible spots in the beard donor area and that is consistent with the results of healing in all our other patients. This picture, already posted above, shows the beard donor area too. Argentine is able to clean shave on a regular basis. 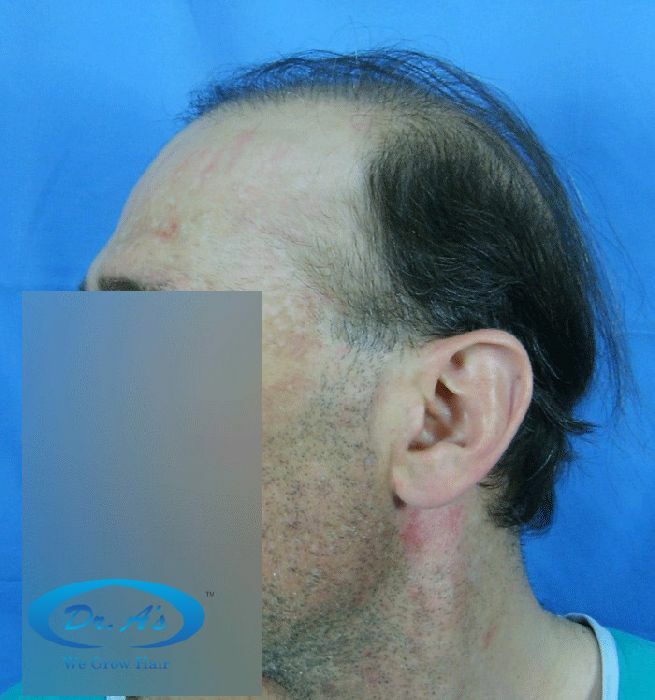 From the pictures I have seen, beard donor sites heal remarkably well, far better than scalp donor. This is a good result, the patient looks much younger, however my question (driven by curiosity and not criticism) is - couldn’t we get even higher densities if the surgery was done in many sessions? for example, build a dense hairline in one session and in another session do the same with crown and back? It seems to me that the patient may have even more potential facial donor hair. Yes. That is also possible. Some patients want to go for higher densities, while others prefer maxing out on the area that can be covered at a suitable density in every session.